A real estate attorney having represented everyone from banks to borrowers, brokers to agents, landlords to tenants, meet Andrew Fowler. Accumulating varied experiences, Andrew knows and understands the business law climate in Arizona inside and out. With appearances in the United States District Court, Arizona Court of Appeals, Superior Court for the State of Arizona, the Arizona Registrar of Contractors, and the Arizona Department of Real Estate, Andrew has the skills and insights to successfully represent his clients, no matter what legal issues arise. Andrew was admitted to the Arizona Bar in 2007 and received membership to the US District Court, District of Arizona in 2010. Andrew’s law degree was completed at Liberty University School of Law in 2007. 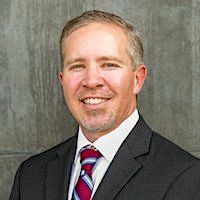 Prior to studying law, Andrew earned a bachelor’s degree in Business Administration from Arizona Christian University in 2001. Andrew has a broad understanding of business and law, able to provide his clients with the necessary tools not only to represent them well but to produce results while earning their trust.